The Circus Oz troupe has somersaulted back into the Big Top at Birrarung Marr in a highly entertaining show to delight all members of the family. 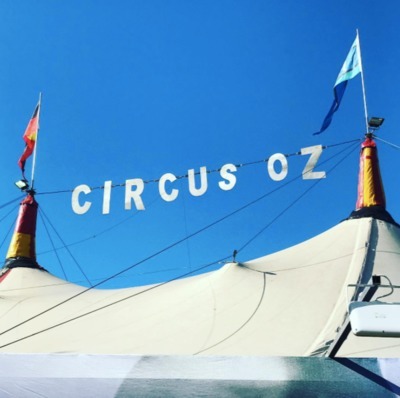 The theme of this year's Circus Oz extravaganza is about being a Model Citizen in the lucky country - a rib-tickling look at the myths of every day life in Australia and what it means to be Australian. As seen in previous Circus Oz performances, one would expect Model Citizens to err on the political side, but as usual, the troupe do so with their familiar tongue-in-cheek banter. The story of Model Citizens follows tattooed pink-haired Captain Ruin who arrives on stage (to Australia) in a boat that happens to be an oversized matchbox. The story follows Captain Ruin's attempts to merge into society despite not quite fitting the mould. The show questions the (in)tolerance of Australian citizens and what it really means to try and fit in when you don't want to. 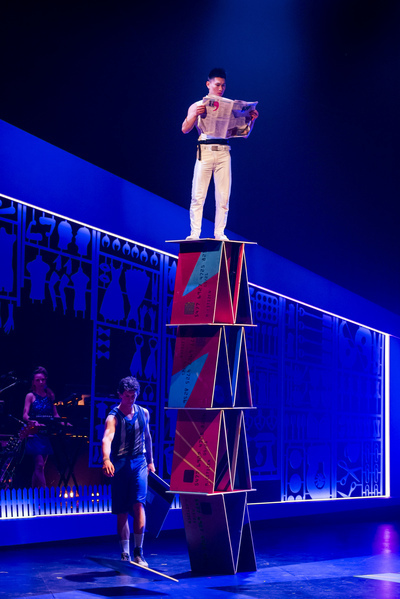 The political aspects of the story certainly relate to the adults in the audience, however the Circus Oz ensemble perform in a manner that speaks to even the youngest spectators. 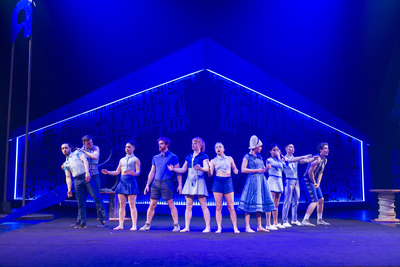 Circus Oz - Model Citizens is a riveting show that is almost impossible to fault. Multi-talented musicians, singers and performing artists fill the Big Top with awe-inspiring acts and a belly full of laughs. Although hard to pick just one highlight of Model Citizens, the 'house of credit cards' and violin playing slack ropes balancing acts are 'up there' as two personal favourites. 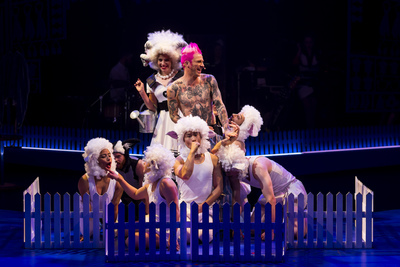 Book tickets for Circus Oz Big Top premiere of Model Citizens at The Big Top at Birrarung Marr. You won't be disappointed. Book: ticketek.com.au or call 136 100. 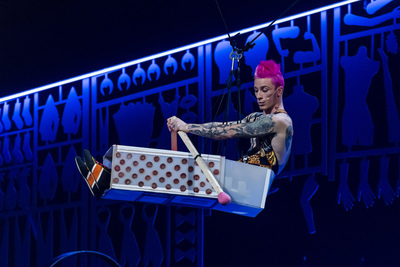 Circus Oz is a 'rock ‘n’ roll, animal-free circus' that has influenced the development of circus arts around the world since its foundation in 1978. 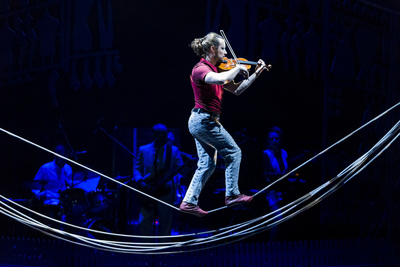 Circus Oz undertook its first and critically praised international tour in 1980 and has continued touring to over 100 cities and regions in 27 countries – performing to over 4 million people.